Arriving as part of this season's Hunter Core Collection the womens Original Tall Boot is a timeless option that packs a punch handcrafted from 28 parts and built on the original last delivering exceptional fit and comfort. 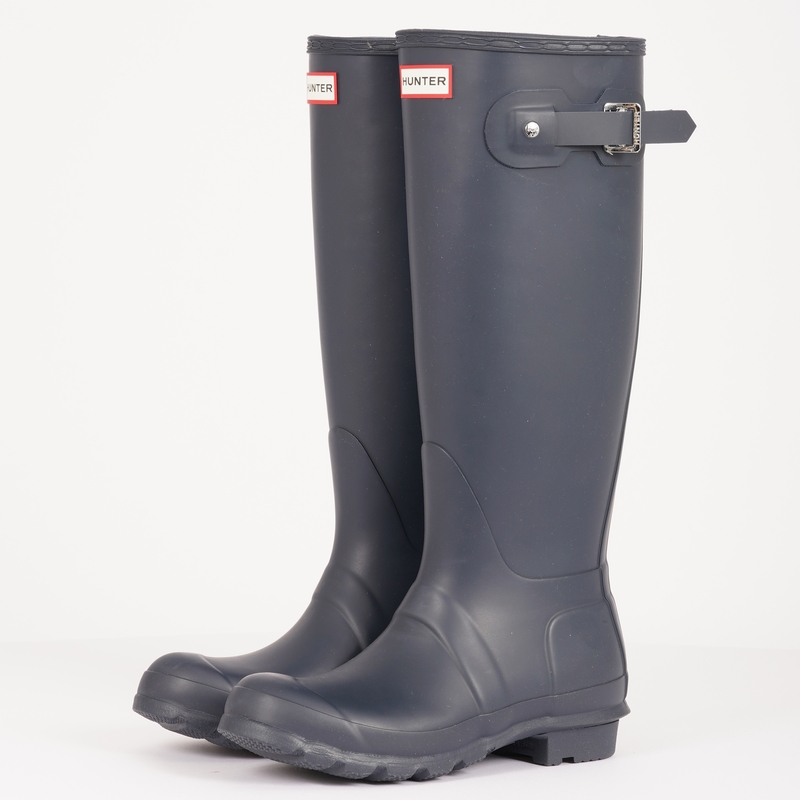 Constructed from natural vulcanised rubber with a matte finish polyester lining ensure the boot is fully waterproof. Finished with a side buckle, a rubber outsole with Hunter Original tread pattern and Hunter branding to the fount this navy iteration will become a handy turn-to whilst out and about over the course of the coming months.